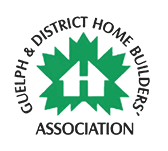 GDHBA is an active association comprised of an Executive Committee, Board of Directors, and committees. 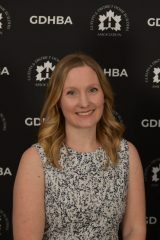 GDHBA’s Executive Officer, Melissa Jonker, looks after the day-to-day operations, but the backbone of the association is its members and volunteers. An association is only as good as its volunteers, and GDHBA is lucky to have some of the best in the industry. The Board of Directors is the governing body of the Association, responsible for overseeing the organization’s activities including advocacy work, networking opportunities, and finances. Melissa Jonker, GDHBA’s Executive Officer, is a professional office administrator who brings over a decade of experience in the non-profit, home building industry. Melissa has a diploma in Business Administration – Management from Conestoga College. ROB DEWAR, IDI Independent Distributors Inc.